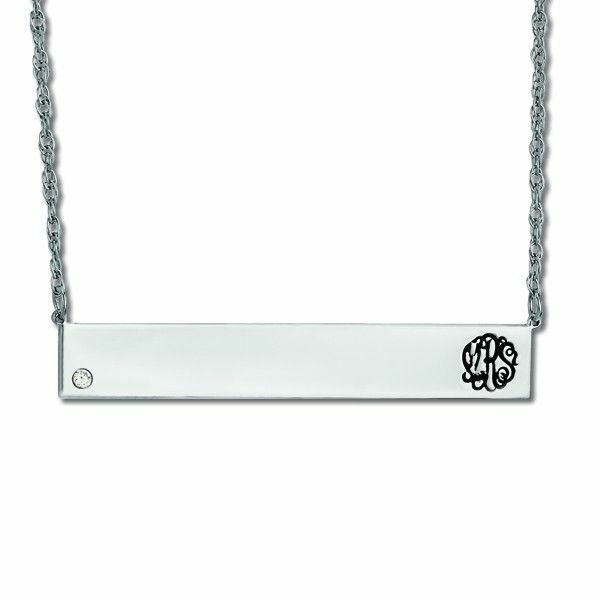 Everyone is talking about bar necklaces and this one sets the bar even higher with the addition of one diamond. With approximately 0.05 carats, this bar pendant necklace in 14k white gold dazzles with a diamond accent in one corner of the bar and a three letter monogram with the initials of your choice at the other. 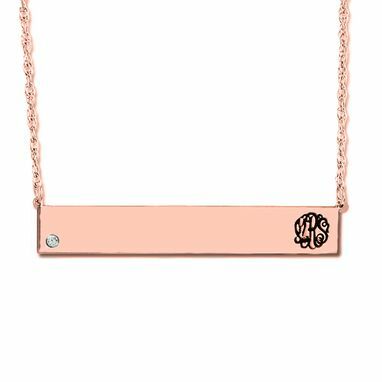 Add a bit of sparkle to any outfit with this customizable monogram diamond bar necklace with your choice of a 16 or 18 inch chain.